Attorney Timothy Manchin established the Manchin Injury Law Group in 2011 after his law partner of more than 25 years became a West Virginia circuit court judge. His focus is on helping individual clients and entire families victimized by negligent acts. Over the decades, Timothy Manchin has earned a reputation for passion and dedication toward injured North Central West Virginia residents. He also has a track record of success maximizing compensation and holding accountable those parties that put safety and the well-being of others second. At the Manchin Injury Law Group, you are a name, not a case number. You are family, not just one of many clients. Perhaps law enforcement did not listen to you following a car accident. Chances are the insurance company failed to understand and sympathize with your side of the story. You feel overwhelmed. You feel alone. Trust our legal team’s experience as they pursue the recovery you need. Let our years of settling and litigating personal injury claims give you optimism and confidence when all else seems lost. We know the stakes. We are well aware of the obstacles. Far too much is at stake for a quick settlement that ignores the long-term personal and financial problems you face. We offer a free initial consultation at our office in the Manchin Professional Building — our home since 1983 — conveniently located in Fairmont. If you are unable to visit our firm, we can come to your home or hospital room. 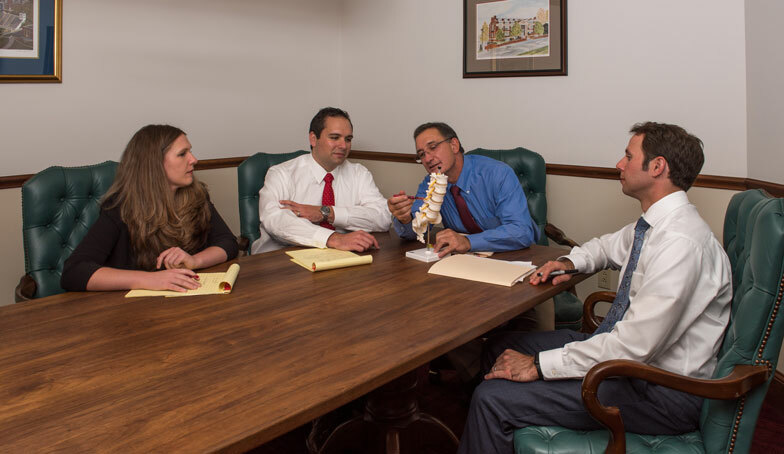 Regardless of the location, you will meet with the attorney who will handle all aspects of your motor vehicle accident or medical malpractice claim.